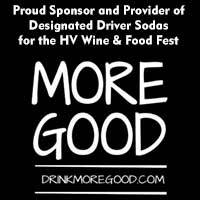 The Best Hudson Valley Wineries & Vineyards join us annually for the Hudson Valley Wine & Food Fest at the Dutchess County Fairgrounds, the weekend after Labor Day. The event features hundreds of wines from Hudson Valley Wineries and beyond – Taste the bounty of New York and experience the Hudson Valley like you never have before. In 1982, The Baldwins purchased a farm which had been the Hardenburgh Estate since 1786. In the Fall of 1982, the first vintage was vinified using grapes purchased locally, and the winery opened in July 1983 with five wines, three of which were awarded medals at the New York State Wine Competition. Baldwin Vineyards has spent the past 30 years garnering awards for their Chardonnay, Merlot, Riesling, Brut Champagne, Port and a dozen other wines, but pioneered New York’s entry into the premium fruit wine category. A total of 15 different wines await wine lovers. Group Tours are welcome. Nestled in the lush green hills of Marlboro you will find Benmarl Winery. Overlooking the historic Hudson River Valley, it’s 37 acre estate lays claim to the oldest vineyard in America. The winery also holds New York Farm Winery license no.1. Although our history runs deep, it is our tireless commitment to quality and consistency that has made us one of the premier wineries in the region. New York wines are making a name for themselves on the world stage and we are proud to be a leader in this movement. Our focus is on hand crafting wines that capture the essence of where they are sourced. From our estate grown Baco Noir and Cabernet Franc, to our Riesling sourced on Seneca Lake, and Merlot from the north fork of Long Island, we strive to allow our wines to speak of where they are from. Brotherhood, America’s Oldest Winery is located in New York’s historic Hudson Valley. Established in 1839 and having survived Prohibition by making sacramental wines for the churches. Brotherhood is the oldest winery in continuous operation and produces some of New York’s most recognized brands. The recently renovated facility hosts tours of their underground cellars and wine tastings daily from April through December and weekends from January through March. Brotherhood also hosts weddings, special events and festivals all year long and has a cafe on premises and a lovely courtyard for enjoying your favorite wines and snacks listening to live music. Cascade Mountain was founded in the spring of 1972 by Bill Wetmore, who pioneered the production of premium table wines on the eastern side of the Hudson River. Bill, a former Novelist, along with his wife Margaret and their three children Charles, Michael, and Joan, planted the vineyard in 1972, built the winery in 1977, and opened the restaurant in 1985. Today, Cascade Mountain features a full line of award-winning table wines which can be tasted at the winery tasting bar or enjoyed in the restaurant. Customers come from all over the world to enjoy a few pleasant hours on a lovely Berkshire foothill sampling the wines, and enjoying a meal along with other savories from around the Hudson Valley and the Berkshires. Our vineyard is young, yet our region is historical when it comes to growing grapes! 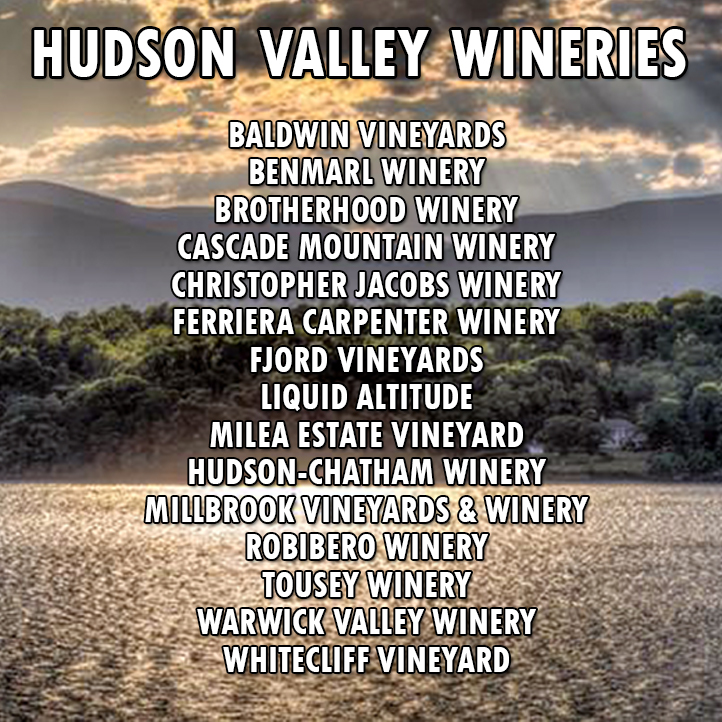 We currently produce delectable and distinct Hudson River region wines. Pennings Vineyards planted it’s first block of grapes in 2006. Our extreme fondness of wine, family heritage and a passion for farming is what has led us down this exciting path in life! We are proud to say we have branched off and lead a new generation of Pennings farmers. The grapes planted, the wine produced, reflect the Hudson River region wine identity. As many wine enthusiasts discover this regions style of cool climate wines, the demand for our product has increased dramatically. We are here to meet that demand. If you share a passion for the wines of the Hudson River region, keep up to date with us as we grow. Jorge is a first-generation immigrant who was born in Portugal and raised in France until he was six years old. His parents came to the US in 1971 and the family settled in Yonkers NY. Growing up Jorge watched his father and uncles perform the ritual of making wine each fall. “Every year, “when I visited Portugal I looked forward to helping with the harvest of the grapes on our families vineyards. Jorge often reflects back on memories of family gatherings, which would always end up with an unofficial wine contest. That is what now fuels his passion of an agricultural lifestyle and the art of wine making. He is very excited to be taking part in this venture with his cousin and winemaker Al Carpenter. As a young boy growing up in a traditional American family with a German / Irish father and an Italian (Calabrese) mother, Al always had a passion for European culture. The history, foods and especially the wines stood out to Al. He spent many summers with Nanny, his Italian Grandmother, his Aunt Nancy and Uncle Frank and his Uncle Rocco. Al watched the process in which they made their wine and was amazed by it all. Later in life Aldo was introduced to the Portuguese culture by his beautiful wife Isabel. He realized his passion for wine was what was most memorable growing up. At Ferreira-Carpenter Winery, Aldo has a chance to fulfill a life long dream of becoming a master winemaker. He is thankful that he is able to partner with his cousin Jorge and see his passion for his culture will make this a dream come true. Liquid Altitude is a new winery in the Hudson Valley. Born at a skydiving center in the Gunks, we have created a sangria that is bold, unique and not-so-sweet with a little extra kick for the adventurous. We introduce you to Freefall Sangria. Dare to drink different. Freefall Sangria – a unique blend of Cabernet Sauvignon, Merlot and Baca Noir, infused with fruit and jacked with spirits. Milea Estate Vineyard was established in 2015. We focus our attention on making great wine from grapes grown in New York State and specifically the Hudson River Region. Called “the Hudson Valley’s flagship winery” by The New York Times and “a great place to visit” by The Wall Street Journal, Millbrook Vineyards & Winery is located in the magnificent Hudson River Valley just 1 ½ hours from both New York City and Albany – 5 minutes north of the Village of Millbrook. Millbrook’s world-class wines have won acclaim from critics and consumers alike, and Millbrook is considered one of the top wineries in not only the Hudson River Valley but all of New York State. Millbrook’s wines also compare favorably with top wines from California and France. Of the estate’s 130 acres, over 30 are planted with grapes. Approximately half of the vineyard is planted with Chardonnay, and the remainder consists of Tocai Friulano, Pinot Noir, Cabernet Franc, and Riesling. Our winemaker, John Graziano, has been crafting these high-quality wines for Millbrook since 1985 and has been the only winemaker at Millbrook since its establishment. Currently, John is producing approximately 14,000 cases of wine annually. The Winery is open year-round, seven days a week. The hours are 12:00 PM to 5:00 PM with extended closing hours from June through October. Handcrafted by our family, enjoyed by yours. Our family invites you to come taste our award-winning wines and discover why we are often referred to as the hidden gem in the Hudson Valley. Producing premium artisan wines that are distinctive to their terroir, all our wines are hand-crafted in small lots to express unique and charming vintages, making them very limited in production. From the tasting room, to the cellar and vineyard, our family is truly hands on. Situated in Clermont, New York in the historic Hudson Valley we are a boutique winery dedicated to delivering pleasure and enjoyment in every bottle. Come visit our tasting room! Our opening hours are: Friday 12-7pm, Saturday and Sunday 12-5pm. We’re open every weekend throughout the year. 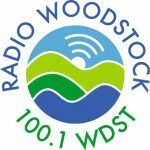 Started in 1994, the Warwick Valley Winery and Distillery has been producing unique wines, ciders and fruit brandies in the picturesque Hudson Valley. The winery’s flagship product, Doc’s Draft Hard Cider, New York’s original craft cider, has received international recognition as a top-tier hard cider. In 2012, the Warwick Valley Winery created an affiliate company, the Black Dirt Distillery, to focus on the production of whiskey and apple jack. Since its inception, Black Dirt Distillery has crafted spirits from locally sourced ingredients that excite from the rich, mature aromas to the smooth, carmelly finish. Our Original Apple Cider has a bite-out-of-the-orchard flavor and a slight crackle of effervescence, creating a light, smooth and refreshing beverage. The Hard Apple Pear Cider is dry, crisp and quenching. The pear is offset by the apple, balanced and lingering on the palette. The Hard Apple Framboise Cider is a playful mix of apples and raspberries with a slightly sweet tone. The apple and raspberries are both discernible by themselves and blend beautifully. Whitecliff is a family owned vineyard and winery, created from the ground up by owners Michale and Yancey Migliore with winemaker Brad Martz. Whitecliff is a leading producer of fine, European style wines. Whitecliff has captured many gold medals, including best white wine in show at the 2010 San Francisco International wine competition.